Link to the Order Form and other product categories via the navigation bar at the top and bottom of the page. Ties are 57" long and 3 3/4" wide unless otherwize noted. Background color choices are noted in the description. In ties designated as "woven" the design develops in the weaving process instead of being printed on the surface. Shipping and contact information is at the bottom of the page plus a link to customer feedback and description of Collector ties. 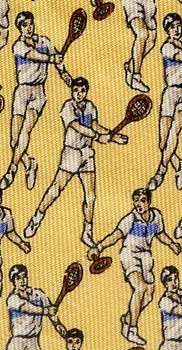 There are lots of Mixed Sports Gear Neckties. 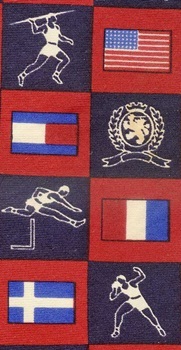 There are many more ties with gondolas, rowboats and canoes on the Water Transportation Necktie page. 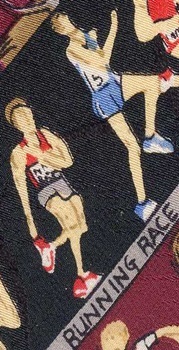 There are sport ties for Team Player Athletes and College and Professional Team Neckties. 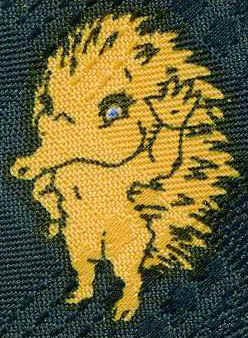 The Games page has Bowling and Billiards and there are many other skilled games such as Darts and Archery. The horse page has Jockies and Rodeo Cowboys. 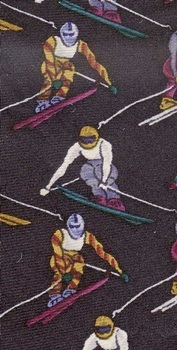 Bicyclists and Race Car Drivers and Sailors are on the Transportation Necktie pages.